On a crisp winter night the town of Chiltern came alive with the flashing of bright lights, flicking of large photo projections and the buzz of people. The first Chiltern After Dark event was held on 17 July 2015 to get people out and about in Chiltern and to celebrate some of the great people and places in our community. Ten photo projection installations could be found along Conness Street Chiltern with building exteriors, shop interiors serving as a canvas for one night. As you can see in the photos below, the weather was perfect! 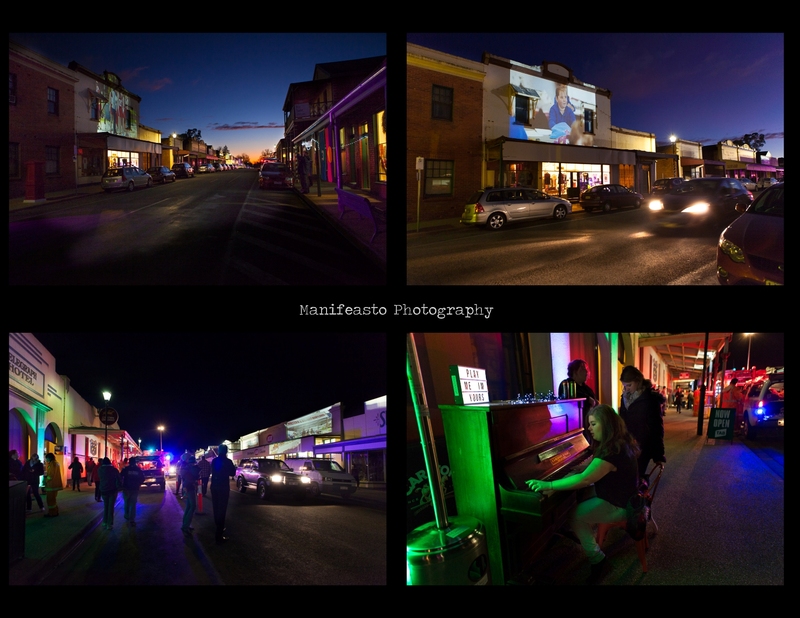 We were treated to a spectacular sunset and as the light from the sun faded, the magic of the many coloured lights and photo projections expertly installed and supplied by Albury Sound & Lighting, took centre stage. Photos of projections in Chiltern for the After Dark event. It wasn’t just the locals of Chiltern who came out for the night, but many travelled considerable distances to see the large-scale projections. One family had driven from Walla Walla in NSW and had a great time out despite their initial concerns of being cold. Kathie, who came with her husband and two children said there was something for everyone to enjoy. 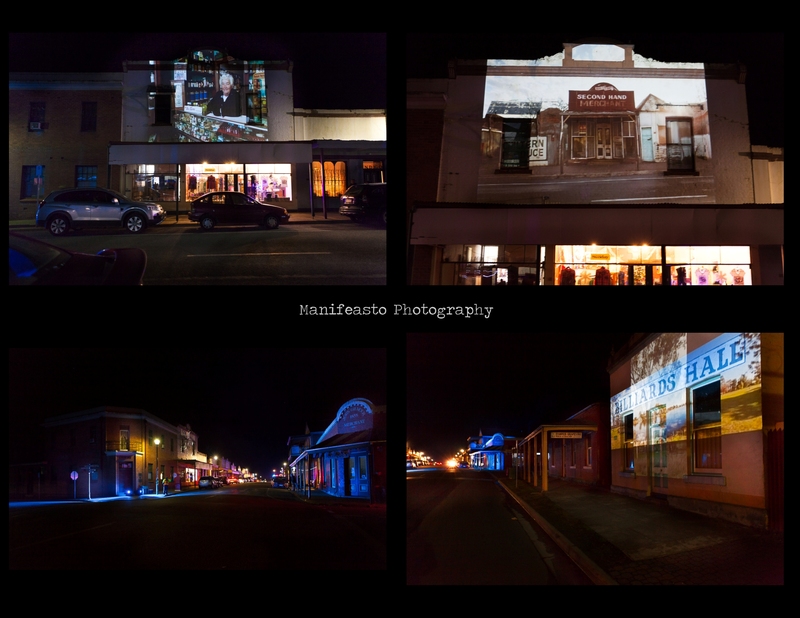 “I love the variety of photo projections along the main street. Some are really big and obvious and others you need to discover. The kids are having fun exploring, making lanterns and getting their faces painted. The atmosphere is great and its nice to wander around with hot chocolate and see something different”. Thank you to the Chiltern community for embracing the photo project and coming out on a crisp night! You can view a slideshow of the images which were used in the projections by clicking here.